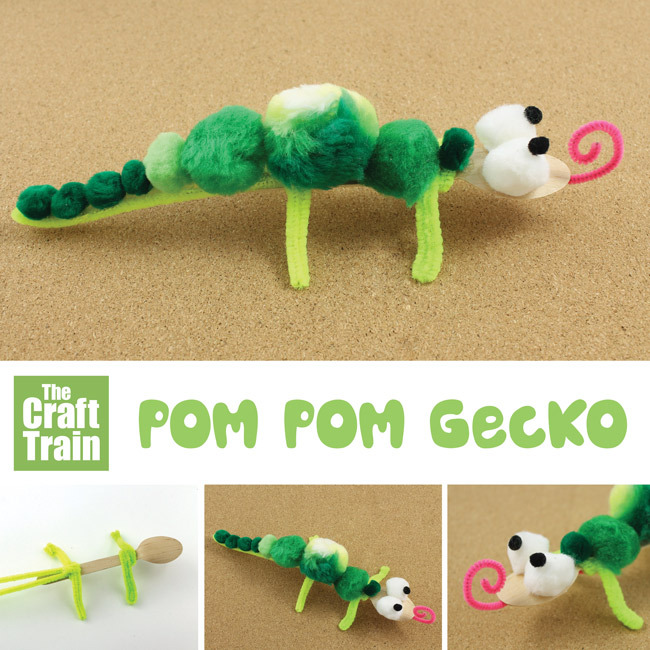 Today Im sharing this easy pom pom gecko craft, which uses a wooden teaspoon as the body and bendy pipe cleaners for the legs and tail. So cute! It’s a fun animal craft idea which is simple to put together, but warning – your fingers might get sticky! I love crafting with pom poms. Often I make my own using a DIY pom pom maker but I also have store-bought acrylic ones in all different colours and sizes in our supply cupboard. The store-bought pom poms are often included in those general kids craft kits that you can buy cheaply so many of you probably have them at home already. They can be fun to use as decorative bits and bobs that you glue onto things and my own kids love to make catapults for them using wire coat hangers. 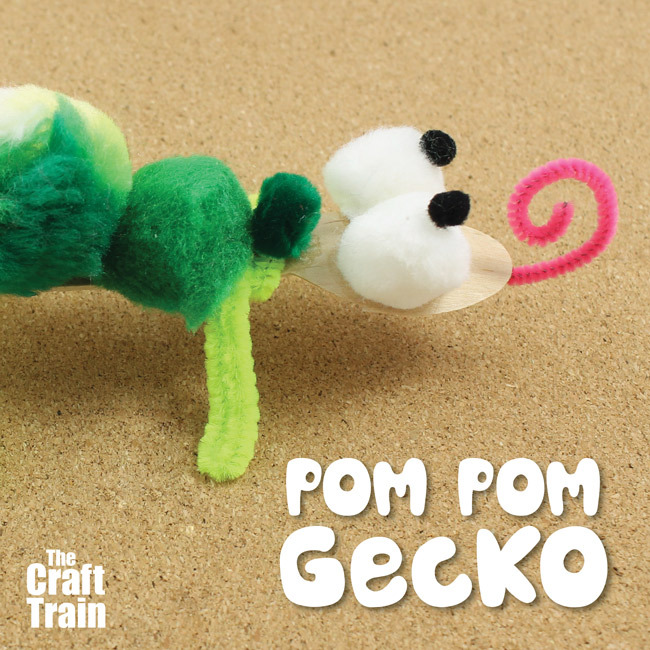 Today I’ve made something a bit different, a cute little pom pom gecko. Would you like to see how to make one too? It’s easy, I promise. Fold three pipe cleaners in half. Wrap one around the top end of the handle to create the front legs and one around the bottom end to make the back legs. 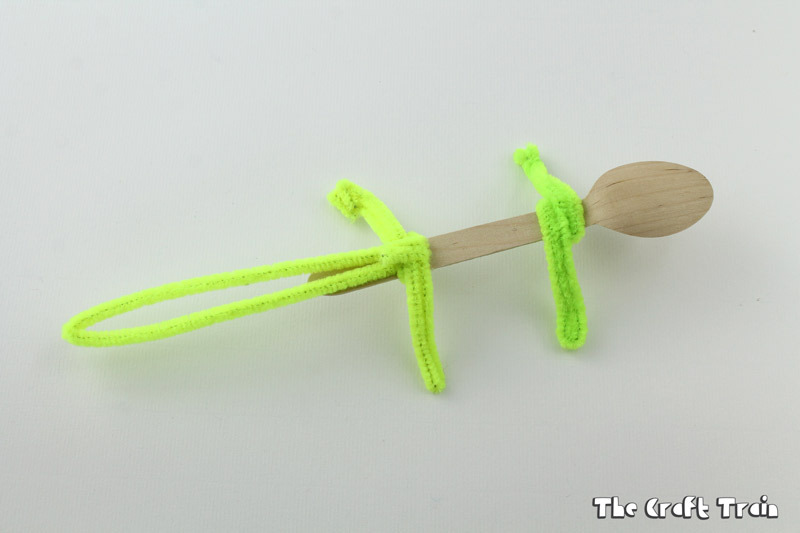 Wind the tail onto the pipe cleaner legs at the back on top of the spoon as shown in the image above. 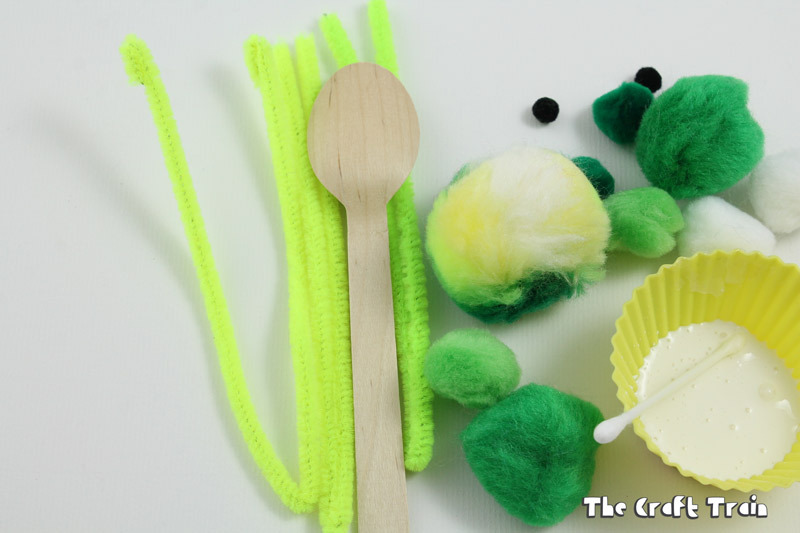 Glue the pom poms on to create the body with your tacky craft glue. Pom poms are very absorbent so you’ll need to be quite generous with the amount of glue you use or it might not stick. 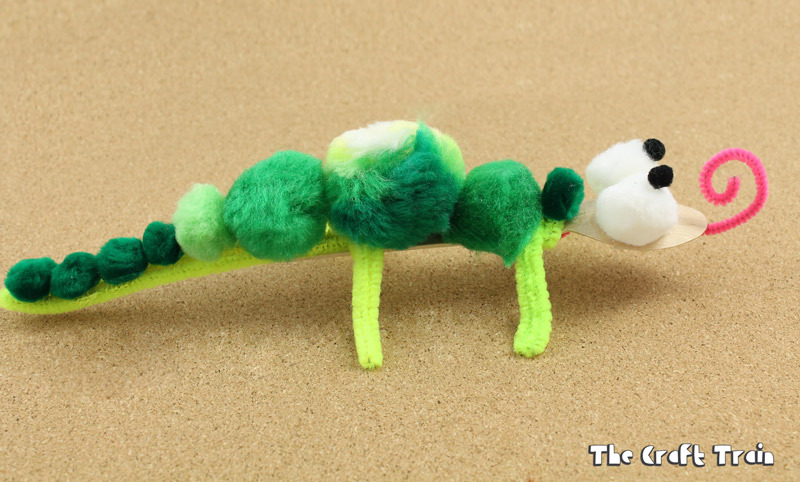 Glue a line of small pom poms all along the top of the tail pipe cleaner too. Cut the pink pipe cleaner in half and curl it around your finger or a pencil to help get the spiral shape. 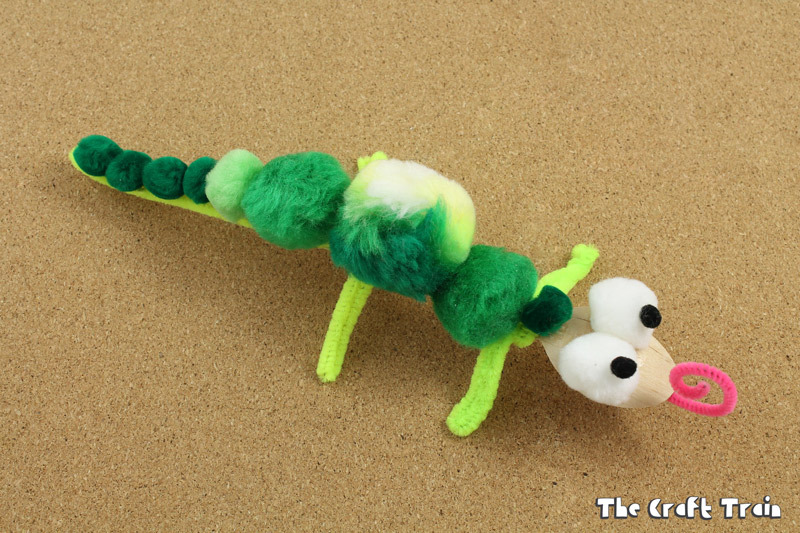 Attach the pipe cleaner tongue to the underside of the spoon by winding it around the pipe cleaners which form the front legs. You can then add a bit of glue to underneath the spoon to help hold it in place but the glue itself is not strong enough to hold the tongue on it’s own while it is still wet (at least I found it wasn’t) so you need the extra grip of winding it around the other pipe cleaners. Finally, glue the eyes in place on top of the spoon and allow to dry. 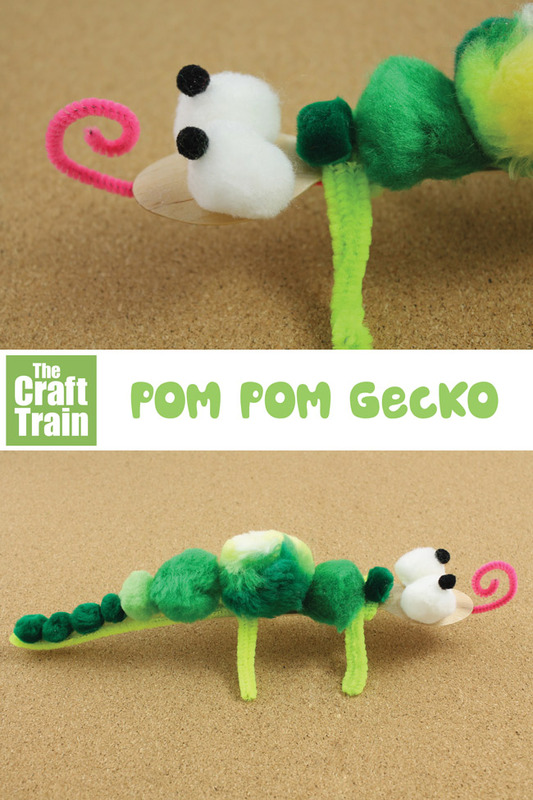 I’ve made mine green like a real gecko (not that it looks all that real!) but you can obviously make it in any colour you choose. We love animal crafts, don’t you? 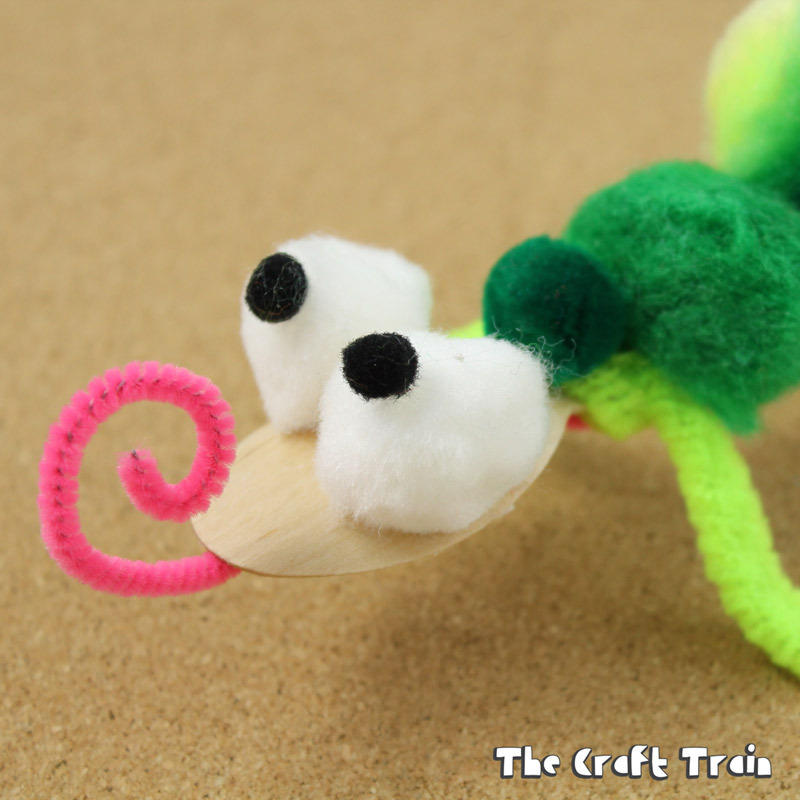 You can find lots more ideas on our animal crafts board on Pinterest, are you following us?